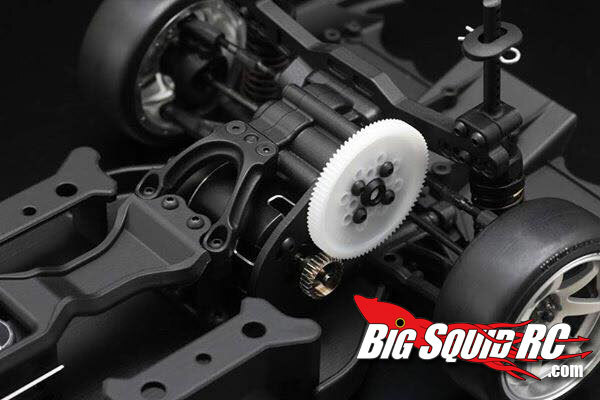 Drift Itch – Yokomo YD-2 RWD drift chassis « Big Squid RC – RC Car and Truck News, Reviews, Videos, and More! Hey gang Evol here to scratch that drift itch. 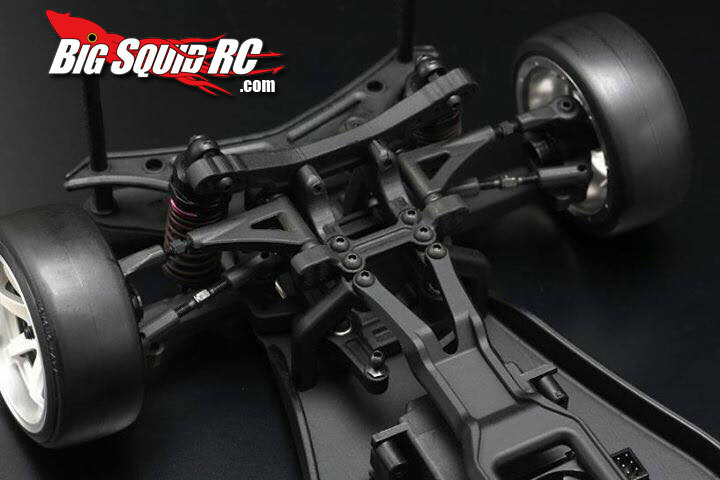 It looks like Yokomo is at it again with a new drift chassis to follow up the competition drifter YD-4. This little gem was spied at the FEMCA RC DRIFT event recently at the Yatabe Arena in Japan. 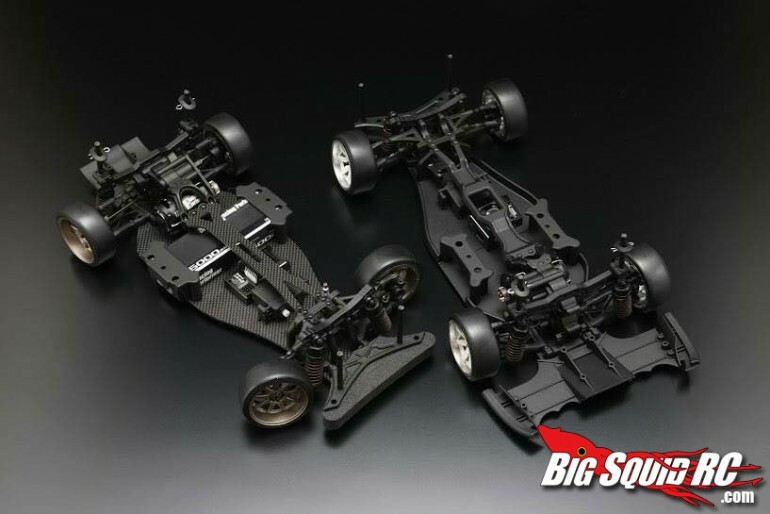 The YD-2 is purpose built from the ground up as a RWD drift chassis. Key design elements show that Yok is paying attention in class to current chassis trends as it is “rear motor” out of the gate. No hints of any intention of a front drivetrain at all. In fact the space where a driveshaft or belt would go is occupied by a molded-in ESC channel that houses the fan in the upper deck. 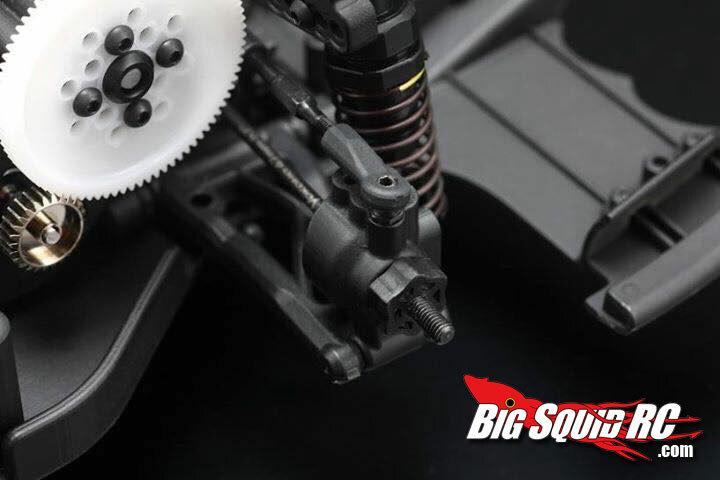 It also looks like the spur and motor are elevated giving it a hint of a weight transfer setup. Very cool looking. This initial model is all plastic (or a carbon fiber chassis variant) but one has to wonder if the bling’d out version is far behind. This is Yokomo’s first foray into a completely purpose built RWD drifter. It will be interesting to see how well it does against its own Drift Package as it is a very popular platform for RWD conversions already. Other promising features are that it features a c-hub delete out of the box for major steering throw (a requirement for RWD drifting). 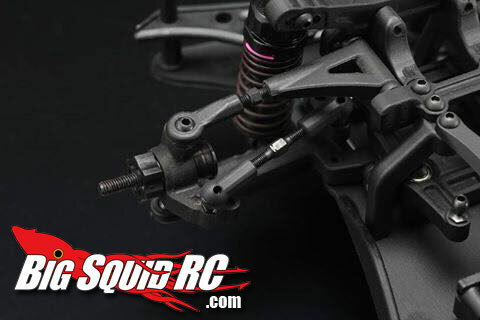 Caster adjustment looks to be handled in the same manner as their previous chassis by adding or removing spacers to get your wheel lean on. 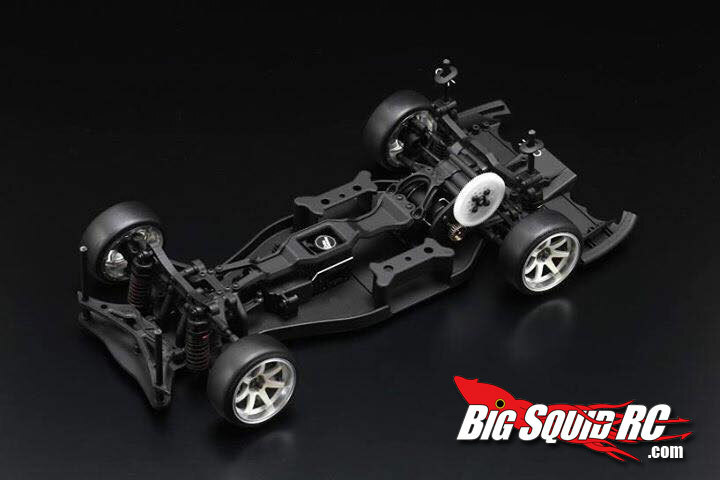 I’m happy to see that Yokomo is not asleep at the wheel. They are on pace with the times with this new design and are clearly still very interested in catering to the RC Drift crowd. 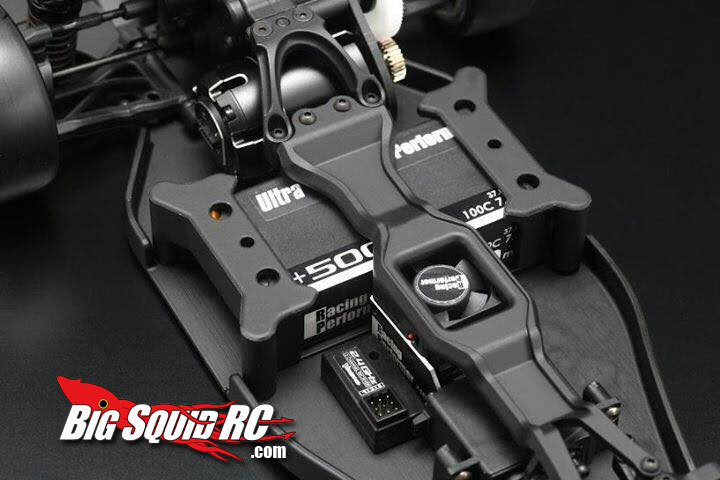 To see more from Team Yokomo click here.